Posted on December 18, 2017 at 4:51 pm. If you want the ambiance of a hotel wedding or hotel debut but do not want the cost, hold your debut or wedding reception at The Concourse Convention Center. A hotel-like ambiance for less (probably somewhere in the neighborhood of half the cost) is what The Concourse Convention Center offers to those who are lucky enough to know that an alternative to an expensive hotel debut and wedding reception actually exists. Would you believe you can actually have a basic debut set up for 100 persons for only P60,000? That’s great value for money, considering that that price is inclusive of the use of the gorgeous, air-conditioned, reception hall, the food, the waiters, the linens and the utensils, the cake, the projector, the sounds, the lights, the Red Carpet, and even an overnight stay in Lotus Blu Hotel, Hotel Venezia or Tyche Boutique Hotel! And there are equally affordable wedding packages available as well. 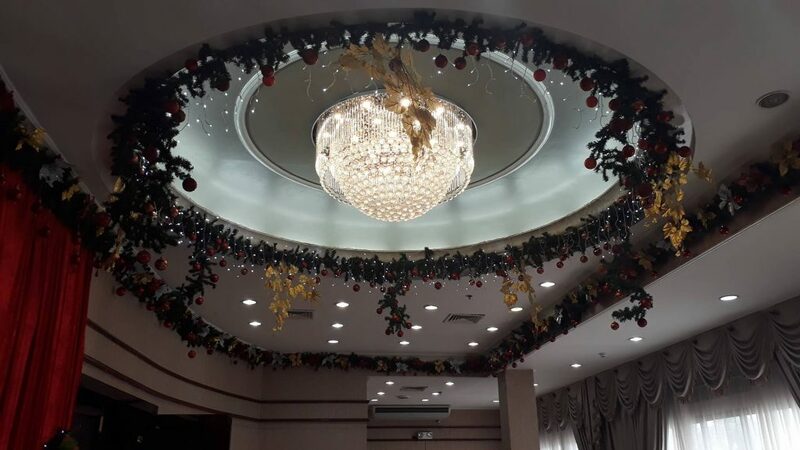 There are wedding and debut packages in the higher price points, of course, but these are packages for those who want an entirely worry-free experience. A Concourse Convention Center debut or wedding package can be inclusive of on-the-day coordination, photographers, videographers, an event host, a band, a bubble/fog machine, a photo booth, a themed backdrop, a pre-event shoot, a prep shoot, 2 nights’ hotel accommodation, and all the other extras – things you’d have to procure on your own otherwise. 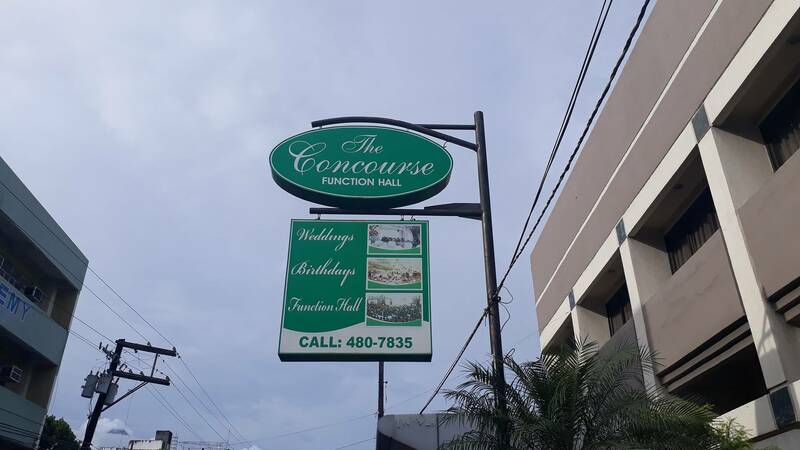 The Concourse Convention Center has two branches: one in Legazpi and one in Tabaco. 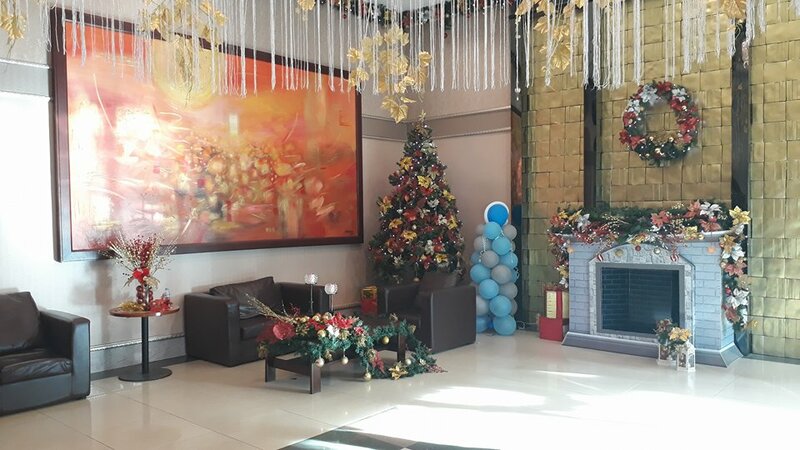 We visited the one in Legazpi and this is how its lobby looks like, all dolled up for the Holidays. 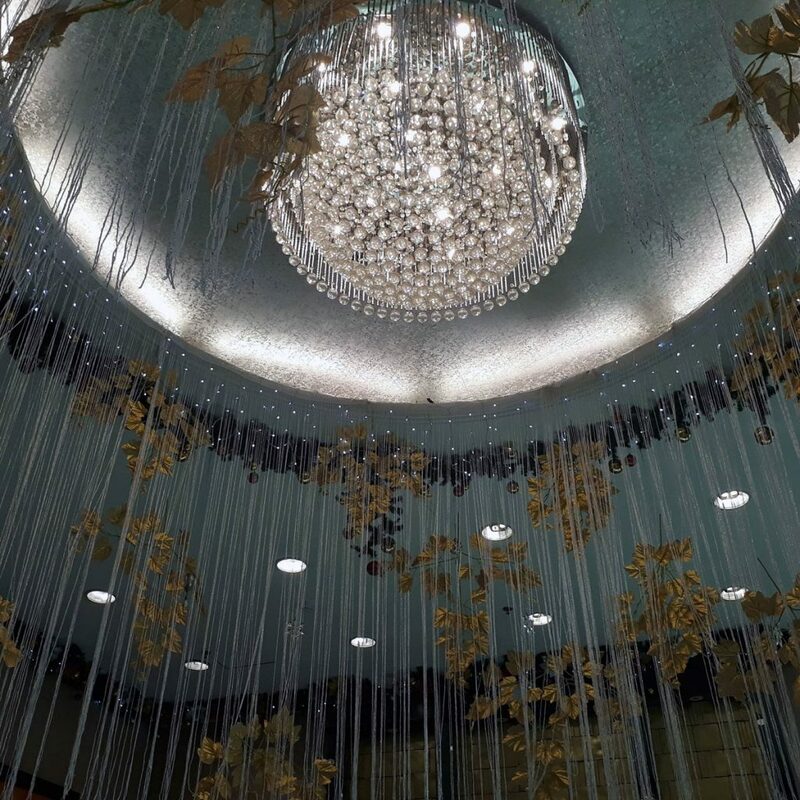 where a second-floor, air-conditioned lobby awaits, again with its own statement chandelier. The Grand Reception Hall – perfect for debuts, weddings, and even seminars – can accommodate up to 500 persons. 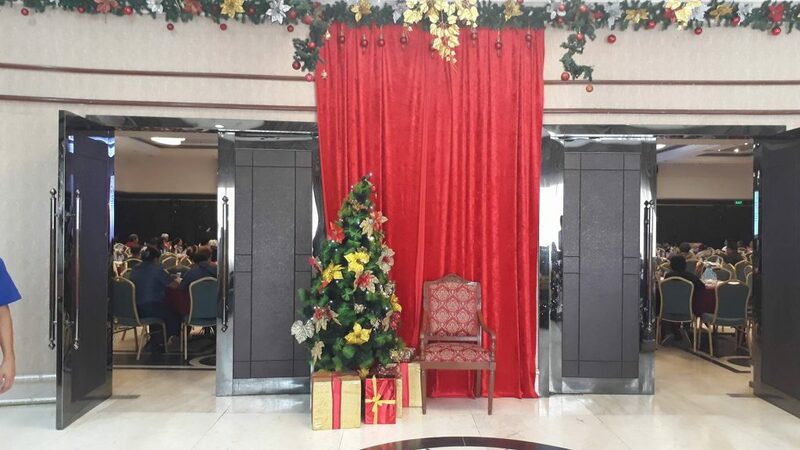 It opens from the 2nd floor lobby through two sets of double doors. Inside is a reception hall worthy of even the most elegant debut or wedding with its marble floors, and rich wooden panelings. 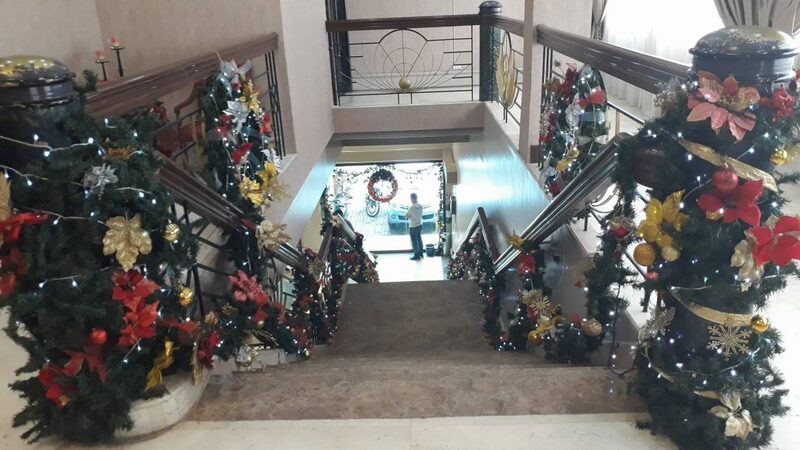 The hall is fully air-conditioned, moreover, ensuring guests’ comfort. 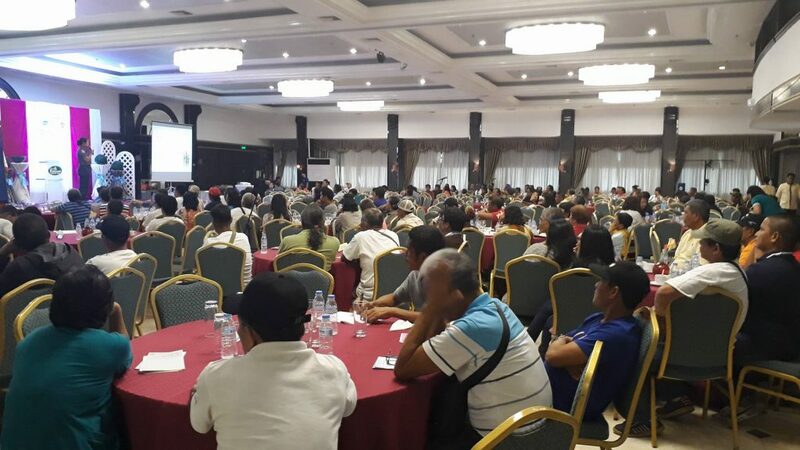 It just so happened that a seminar was ongoing when we visited The Concourse Convention Center in Legazpi, and this picture shows the hall filled to capacity. So for those of you in Legazpi and Tabaco (or are going to be in Legazpi or Tabaco), remember that The Concourse Convention Center is the answer if you are looking for a venue for your wedding, debut or seminar that gives you a hotel-like ambiance without the corresponding high cost.